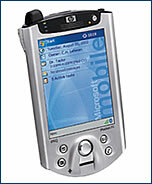 HP recently unveiled the iPAQ Pocket PC h5400 on the Czech market, featuring bluetooth technology, wireless LAN connectivity and (a first for a handheld) a biometric fingerprint scanner, for extraordinarily tight security. Available for CZK 24,980. 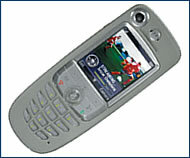 One of America’s leading handset makers plans to release, in the third quarter of 2003, the A835. It’s a phone that will be stocked with color screen, polyphonic ringtones, videophone capability, MP3 player, 256 MB of memory, and bluetooth. Price yet to be determined. 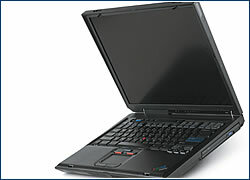 IBM’s venerable ThinkPad series of notebooks has a new addition on the Czech market, the R40, featuring dual wireless access, an “access IBM button” for fast access to diagnostic tools, and an ergonomically enhanced track button. CZK 49,110 with Intel Celeron 1.6 GHz, CZK 68,730 with Intel Pentium 4 2.2 GHz.